Joe English Trail Challenge / Joe English Twilight Challenge, 2015! 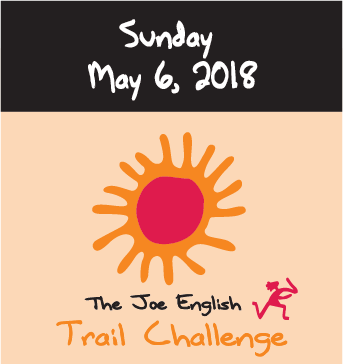 Join us on May 6th, 2018, for the Joe English Trail Challenge. Can you go the distance on 5, 12.5, 25 or 30 kilometers of rough-hewn trails? The Trail Challenge is a first-of-its kind event in the region. Don't miss it! Challenge yourself!" Challenge yourself to run - or hike - the granite hills and deep woods of the New England backcountry. Fields, streams, hill slopes, lakeshores, and the bony earth and crags of pioneer America - the Joe English Challenge, in Amherst, New Hampshire, crosses all of them. Legend tells that during Queen Anne's war a native scout, nicknamed "Joe English," eluded a war party of French-allied natives by running for hours through the woods and hills. At the top of the hill that now bears his name, "Joe" leapt over and hid himself on a small ledge some feet below the edge of the cliff. Some said that his pursuers plunged to their deaths, others that they went home, convinced that he had. The Joe English challenges invite runners and hikers to test themselves against this same varied terrain. All proceeds from the Joe English Challenge benefit the Amherst Land Trust. The trust protects rural, scenic, and open-space lands for future generations. Since 1975, as educator and dealmaker, the trust has preserved hundreds of acres of New Hampshire conservation land for public enjoyment. The Challenge celebrates this legacy. To learn more, click here. Interested in sponsoring the challenge? Click here to learn more. 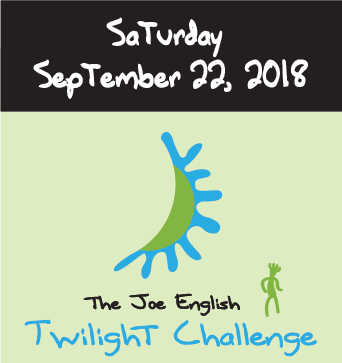 Join us on September 22nd, 2018, for the Joe English Twilight Challenge. Do you dare to run a half-marathon or marathon with your relay team? Or an ultra for six hours? Going from twilight into the full-moon night? Show you can dare the darkness! Travel wide, groomed equestrian trails of Freestyle Farm. Take the challenge!